Inner ear dizziness due to blood vessel spasm is usually sudden in onset and intermittent in character. It may occur as an isolated event in the client's life or repeatedly in association with other symptoms. If it is recurrent it usually is associated with migraine headache-type symptoms. Predisposing causes include fatigue and emotional stress. Certain drugs such as caffeine (coffee) and nicotine (cigarettes) tend to produce blood vessel spasm or constriction and should be avoided. Blood vessel spasm has been noted to occasionally begin after head injury. Although there may have been no direct injury to the inner ear by the trauma, the spasm may begin to damage the ear. Treatment of dizziness due to changes in circulation consists of anti-dizziness medications to suppress the symptoms. They also stimulate the circulation and enhance the effectiveness of the brain centers in controlling the symptoms. An individual with this type of dizziness should avoid drugs that constrict the blood vessels, such as caffeine (coffee) and nicotine (tobacco). Emotional stress, anxiety and excessive fatigue should be avoided as much as possible. Often, increased exercise will aid in the suppression of dizziness in many clients by stimulating the remaining function to be more effective. In head trauma the inner ear structures may be damaged by the severe sudden shaking that occurs. The pressure in the inner ear often begins to rise or calcium crystals may be dislodged. There may also be bleeding into the inner ear. This is called inner ear concussion. Although present over a period of months, the dizzy symptoms will often subside, but at times a mild persistent dizziness occurs. In other clients a post-traumatic endolymphatic hydrops (Meniere's disease) begin to develop some months to years after the injury. In these cases continual medicine may be required, or surgery may be necessary. A perilymphatic fistula is a leak of inner ear fluid into the middle ear. Relatively minor closed head injuries may cause a fistula, the fistula occurs at either the oval window (window where the stapes bone fits) or the round window membrane (an opening from the cochlea to the middle ear). Fistulas change the pressure in the inner ear and lead to a variety of symptoms, some of which can be incapacitating. Persistent daily low grade dizziness is often associated with fistulas, but the client may also experience severe episodes of vertigo similar to those seen in Meniere's disease. Surgery is usually required to close a fistula and stop the symptoms. If the fistula is large, or has been present for some time, there may be permanent damage to the inner ear and symptoms may persist even after closure of the fistula. In these cases a vestibular nerve section is necessary to stop the persistent dizziness. There is no treatment for Dandy's syndrome. Most clients compensate well and lead normal lives. One should avoid movement in total darkness and avoid underwater swimming. Endolymphatic hydrops is a term which describes increased fluid pressure in the inner ear. In this respect it is similar but not related to glaucoma of the eye fluids. A special clinical form of endolymphatic hydrops is called Meniere's disease, described elsewhere in this book. All clients with Meniere's disease have endolymphatic hydrops, but not all clients with hydrops have Meniere's disease. There may be many causes of endolymphatic hydrops. It occurs widely in people of European decent and rarely in oriental or black people. It may be caused or aggravated by excessive salt intake or certain mediations. The symptoms are highly variable. The client may have one symptom or a combination. Often there is a combination of hearing changes, disequilibrium, motion intolerance, or short dizzy episodes. 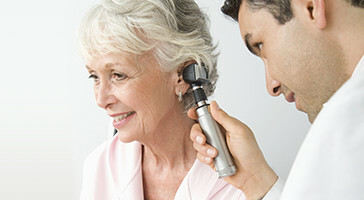 There may be tinnitus and/or a pressure feeling in the head or ears. The client does not have the well defined attacks of Meniere's disease (fluctuating hearing loss, tinnitus and episodes of spinning lasting minutes to hours). Often the division between the two diagnoses may be blurred and difficult to separate, even for the client. Endolymphatic hydrops may progress to Meniere's disease in some clients. The treatment of endolymphatic hydrops is similar to that for Meniere's disease. Medications are first used. Diuretics (water pills) are almost always used. Their purpose is to decrease the fluid pressure in the inner ear. In addition to diuretics, other medications may be indicated, depending on the cause of symptoms in each client's case. If these fail, surgery is sometimes indicated. (See Surgery for vertigo elsewhere in this document). Meniere's disease is a common cause of repeated attacks of dizziness, and is thought to be due (in most cases) to increased pressure of the inner ear fluids due to impaired metabolism of the inner ear. Fluids in the inner ear chamber are constantly being produced and absorbed by the circulatory system. Any disturbance of this delicate relationship results in overproduction of underabsorption of the fluid. This leads to an increase in the fluid pressure (hydrops) that may, in turn, produce dizziness which may or may not be associated with fluctuating hearing loss and tinnitus. Occasionally hearing impairment, head noise, and ear pressure occur without dizziness. This type of Meniere's disease is called cochlear hydrops. Similarly episodic dizziness and ear pressure may occur without hearing loss or tinnitus, and this is called vestibular hydrops. Treatment of cochlear and vestibular hydrops is the same as for classic Meniere's disease. The treatment of Meniere's disease may be medical or surgical, depending upon the client's stage of the disease, life circumstances, and the condition of the ears. The purpose of the treatment is to prevent the hearing loss, and stop the vertigo (spinning). Medical treatment of Meniere's disease varies with the individual client according to suspected cause and magnitude and frequency of symptoms. It is effective in decreasing the frequency and severity of attacks in 80% of clients. Treatment may consist of medication to decrease the inner ear fluid pressure or prevent inner ear allergic reactions. Various drugs are used as anti-dizziness medication. Vasoconstricting substances have an opposite effect and, therefore, should be avoided. Such substances are caffeine (coffee) and nicotine (cigarettes). On rare occasions we may use gentamycin injections which selectively destroy balance function. This treatment is reserved for clients with Meniere's disease in their only hearing ear or with Meniere's disease in both ears. Surgery is most successful in relieving acute attacks of dizziness in the majority of clients. Some unsteadiness may persist over a period of several months until the opposite ear and the central nervous system are able to compensate and stabilize the balance system. Middle fossa section of the vestibular nerve may be advised when hearing is good in the involved ear. Up to 5% of clients may develop a severe hearing impairment in the operated ear. Fortunately, the attacks of dizziness are eliminated in nearly every instance. Persistent unsteadiness, however, may continue for a period of weeks or months until the central nervous system stabilizes the balance system. Temporary paralysis of half the body has occurred following a middle fossa nerve section, due to brain swelling. This complication is, however, extremely rare. This procedure allows examination of the anatomy between the inner ear and the brain, particularly the vessels. This operation may be advised when the hearing is good in the involved ear, and the client is somewhat older. Up to 15% of clients may develop a severe hearing impairment in the operated ear after surgery. Fortunately, the attacks of dizziness are eliminated in nearly every instance (90% – 95%). Persistent unsteadiness may continue for several weeks to months until the central nervous system has stabilized the balance system. Temporary paralysis of half the body has occurred following a surgery due to brain swelling. Fortunately, this complication is extremely rare. Taste disturbance and mouth dryness are not uncommon for a few weeks following surgery. In 5% if the clients this disturbance is prolonged. Current retrospective studies indicate that 85% of clients with chronic vestibular dysfunction gain at least partial relief of their symptoms after undergoing vestibular rehabilitation. Typically, a physical therapist evaluation of clients with vestibular or balance disorders take approximately 60-90 minutes. The evaluation begins with a history of the client's symptoms. This includes how long the client has been symptomatic, how long the symptoms last, general activity level and medications that the client is currently taking. Range of motion, strength, coordination, balance and various sensory systems are also assessed. clients are asked to perform; transitional movements such as rolling, supine to sit and sit to stand. This is to determine whether these motions produce or increase symptoms. One of the most difficult things for clients with vestibular disorders to do is walk and move the head. Different combinations of head and neck movements are performed during gait to provoke symptoms. Balance is also tested on a firm surface and again on a compressible surface with eyes open and closed. Time tests of balance are performed with eyes open and closed, while standing on one foot and with feet aligned as if on a tightrope. Following the evaluation, a treatment plan is developed. The treatment consists of habitual exercises, balance retraining exercise, and usually a general conditioning program. The goal of habituation exercises is to decrease the client's symptoms of motion provoked dizziness or lightheadedness. The exercises are chosen to address the client's particular problems that were discovered during the evaluation. These exercises use repetitive movements or positional stimuli to physiologically fatigue the response of the vestibular system. This, in turn, increases the client's tolerance for these movements. Controlled provocation of symptoms with the home program “desensitizes” the client's response to movements that previously stimulated dizziness. clients that have non-reproducible or spontaneous symptoms (ones that appear unexpectedly and independently of whether the client is moving); do not respond as well to these exercises as a means to control their symptoms. Balance retraining exercises are also given when appropriate and consist of activities directed towards improving the client's balance. Exercises are chosen according to the problem areas discovered in the evaluation and often involve interaction among the three sensory inputs involved in balance: vision, somatosensory cues and vestibular inputs. Thus the client may be asked to perform exercises with eyes closed or standing on a compressible surface. A general conditioning program usually consists of a walking program or another fitness program that the client is interested in. The length and intensity of the general conditioning program depends upon the client's previous activity level and how easily their symptoms are provoked. The client must consistently perform all the exercises as described in their treatment program to achieve the goals of improving their balance and decreasing their dizziness. Typically the exercises are performed twice a day. clients are advised not to avoid positions that provoke symptoms unless they are unsafe. Usually the client is given a home exercise program to perform, and asked to return to the office in two to four weeks for a follow-up visit to monitor their progress and modify their home program as necessary. If the client lives very far way, this can sometimes be done over the phone. Occasionally, if the client's problems are significant enough, he or she may be asked to come into to office for balance/vestibular training that can be supervised by the physical therapist.